American company HawkeyePedershaab founded in 1877, developing till now, the enterprise has become the leading pipe making machine company in the world , and its equipment production line is all over the world. As global businesses grow, they begin to look for partners in every area. And they look up to the huge Chinese market, in 2013, HawkeyePedershaab company cooperate with Quangong Machinery Co., Ltd, transfer part of the equipment production to China formally, production process is strict accordance with the standards of Europe and the United States , thereby reducing the cost of production. 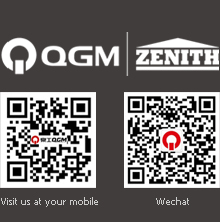 The reason that HawkeyePedershabb company chose QGM as collaborators in China, firstly, is because QGM has a strong scientific research capabilities , and has a higher visibility and reputation in China; secondly, because QGM has the experience of produce pipe making machine equipment, and has a deeper understanding of pipe making machine industry, to help the company to expand China's pipe making machine market; thirdly, is because QGM has 25 offices in China, and 15 overseas offices, it’s more convenience for customers to get in touch with us. Since the cooperation of two parties from April,2013, HawkeyePedershabb company achieved stage results in China of pipe making machine market , let HawkeyePedershabb company to get a better understanding of China's concrete pipe industry, also let more Chinese concrete pipe manufacturers know HawkeyePedershabb company.